Black tie event: Means a Dinner suit or Evening Wear or a Tuxedo. It consists of a Dinner Suit, bowtie and a dress shirt. If it is a formal occasion, corporate function or an awards evening, then a black bow tie and maybe a cummerbund worn around the waist with the jacket undone is more suitable. For parties or balls, then a coloured bow tie is a popular choice of neckwear. 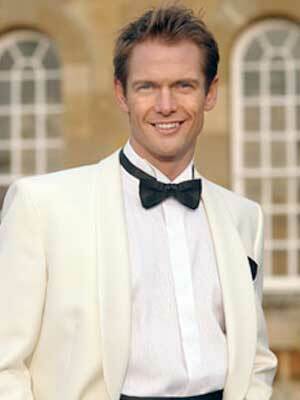 For a cruise function or for a different look all together, a white tuxedo is a good option especially in hot climates. A "White Tie" event means you wear Evening Tails for very formal occasions. 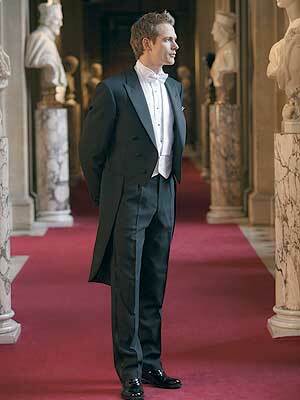 The outfit consists of Black Evening Tails, a white Marcella bow tie and waistcoat. All of the above looks great finished off with a pair of black patent leather dress shoes. Consisting Dinner Suit outfit plus 2 shirts and 2 bowties (2 week hire)	.